I hope your New Year is off to a wonderful start. I know how exciting this time of year is as you look forward to all the possibilities that 2015 holds for your life... Know that I am here to support your growth and success in the year ahead. My friends, noteworthy personal growth experts, have gotten together this month solely for the purpose of giving you their very best so that you can reach all of your goals. For a limited time, you will be able to download them at Absolutely NO Charge, including my Balance & Tone Your Chakras video. 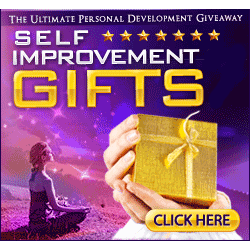 There are also gifts on meditation, manifesting abundance, brainwave entrainment, Law of Attraction, health and wellness, hypnosis, motivation, fitness, nutrition and MORE! To health and success in 2015! For a complete, easy-to-understand, and illuminating introduction to energy healing, see The Other Medicine...That Really Works! by Heidi DuPree, RN, CTN. She was a nurse who found Western allopathic medicine lacking in her own healing, which led her to explore and integrate alternative healing modalities into her practice and healing way of life. DuPree explains how the Western model of health care revolves around symptom elimination, while energy medicine gets to the cause of imbalance and can lead you into growth, transformation, and healing of body, mind and spirit.DuPree uses her own personal experiences, healing stories of her clients, and references to the work of many well-known healers to explain our bodies' energy systems, such as the chakras and meridians, and how to heal any blocks. She also explains how to recognize your own healing process, what can block your healing and how to work with it. The book ends with useful energy medicine techniques that you can put into practice, including homeopathy, flower essences, craniosacral therapy, meditation, and acutapping (such as EFT and Dynamind, which I explain in my book, Balance Your Chakras – Balance Your Life). Both the stories of healing and the explanations of healing modalities are beautifully written. After reading this book, you feel you've been given a comprehensive introduction to the true path to wholeness. BECCA: What technique(s) would you recommend to orient to one's core, and experience oneness with the universal energy field? For more inspirational reading, subscribe to Becca's Inspirational Book Blog at www.BeccaChopra.com.